What is known about PowerLocky virus? How to recognise malicious emails? PowerLocky virus is another ransomware that was created to swindle money from computer users all over the world. Some sources claim that this malware might be inspired by famous Locky and PowerWare viruses. Indeed, even the name of the virus seems like a combination of these two. As you can expect, the mix of two dangerous viruses does not look good. The complex PowerLocky ransomware is more hazardous and might cause lots of problems with file decryption. After infiltrating computer’s system, the virus starts encoding different types of personal files. It uses a complicated AES-156 set of codes for data encryption and makes them almost impossible to restore without a necessary decryption key. The virus appends .locky file extension to all corrupted files; however, some victims tell that it added .tax2016 file extension. 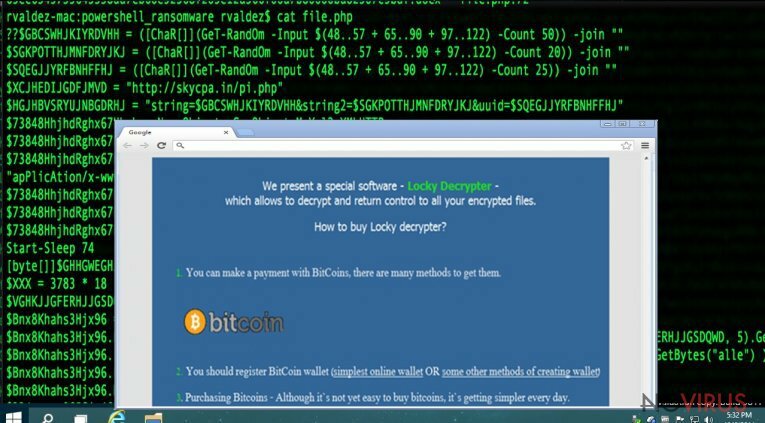 Furthermore, hackers offer to purchase a Locky Decrypter – the one and only tool to encode data; and it’s a definite relation to Locky. Before talking about specifications of the ransomware, we want to give you honest advice. Do not pay to buy this suspicious tool. After ransomware attack, you should concentrate on virus removal and use for safe ways to retrieve lost data. First of all remove PowerLocky with a help of Reimage and look for additional file recovery options at the end of the article. Hackers love spreading malicious files via spam emails, and the creators of Power Locky also make this distribution technique primary. Once PowerLocky virus is activated, it targets files that are located in these folders: %AppData%, %Temp%, %Roaming%, %Common%, %(User’s Profile)%, and %System32%. Then it drops a ransom note named _HELP_instructions.html. Hackers explain that victims have only one choice to restore lost data – to buy a decryption tool for 0.74290893 BTC (almost 400 GBP). Criminals ask to download and install Multibit application that provides a unique Bitcoin-wallet address. Then, they have to buy Bitcoins and transfer them via provided address. After making the payment, victims have to wait 12 hours for an email with a decrypter. Hackers promise that files will be unlocked and decrypted automatically, but victims have to keep HTML ransom notes. Overwise, data decryption tool won’t work. According to the crooks, once they are done, ransom notes will be deleted as well. Even though hackers’ promises seem reasonable, you should not rely on them. Do not sponsor and motivate crooks. Initiate PowerLocky removal as soon as it starts asking for money. Even though hackers might decrypt your files, they might arrange another ransomware attack or install additional malware as well. As you already know, PowerLocky malware spreads via malicious emails. Usually, these emails have a subject line which informs about delivering receipts, invoices or inform about suspended PayPal account. Hackers create many different emails and attach a safe-looking file to it. Infected files come in .doc, .exe or .scr files, so many inexperienced users suspect nothing. However, under these file formats hides PowerLocky ransomware activation files: notepad.exe, patch.exe, svchost.exe, setup.exe, update.exe or software-update.exe. One of the main tips to recognise malicious email is their language. Usually, hackers’ lack of English skills and you may find lots of mistakes or odd sentences. Sometimes crooks claim to be representatives from the governmental institution, so it’s hard to believe that this person writes poorly. Also, you may be asked to open the link to access the particular website because of some serious issue. For example, crooks ask you to log into your bank or PayPal account via provided link. Access necessary website directly from your browser and make sure if this issue is real. Before opening any attachment from an unknown sender, think if you expect to receive a receipt and double check the information online. Besides, you can always contact the institution directly and ask for confirmation. Ransomware elimination is a difficult task, but it is possible to complete it. For PowerLocky removal we recommend employing one of these anti-malware programs: Reimage, Malwarebytes MalwarebytesCombo Cleaner or Plumbytes Anti-MalwareMalwarebytes Malwarebytes. Of course, you can use another antivirus program, but do not forget to update it first. Besides, sometimes file-encrypting viruses block access to security programs. In this case, to remove PowerLocky from the PC becomes more complicated task. However, there’s still a possibility to access anti-malware program – follow the instructions bellow. Sign in to your account and launch any Internet browser. Download a legitimate anti-malware software, for instance, Reimage. Make sure you update it to the latest version and then run a full system scan with it to detect and eliminate all malicious components of the ransomware to remove PowerLocky completely. In a new window that shows up, click the Next button and choose a restore point that was created before the infiltration of PowerLocky and then click on the Next button again. 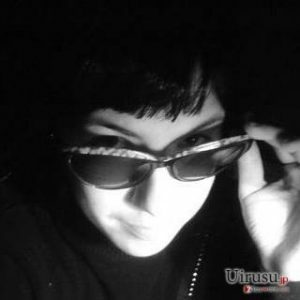 After restoring the computer system to an antecedent date, install and check your computer with Reimage to uncover any remains of PowerLocky. Using the tutorial provided above you should be able to eliminate PowerLocky from the infected device. novirus.uk team has also prepared an in-depth data recovery guide which you will also find above. The creators of PowerLocky virus provide Locky Decrypter – the tool that can decrypt corrupted files. Please, do not purchase this suspicious tool! Maybe it will retrieve lots files, but it can also install additional malware to your PC. If you encountered the attack, concentrate on virus elimination first, and later try one of these methods to restore at least some of your files. Unfortunately, we cannot assure that this tool will definitely recover all encrypted files. However, you should give Data Recovery Pro a try. Hopefully, it will work! Windows Previous Versions feature can be used only if you have previously enabled System Restore function. This method allows restoring individual files only. You can only benefit from ShadowExplorer and restore some of your files if PowerLocky ransomware hasn’t deleted Volume Shadow Copies from your PC. If virus managed to delete them, this method won’t work for you. It is strongly recommended to take precautions and secure your computer from malware attacks. To protect your PC from PowerLocky and other dangerous viruses, you should install and keep a powerful malware removal tool, for instance, Reimage, Malwarebytes MalwarebytesCombo Cleaner or Plumbytes Anti-MalwareMalwarebytes Malwarebytes. This post was published on 2016-10-14 at 10:20. Category: Ransomware, Viruses. What method did you use to remove PowerLocky virus?